If you’re up on the latest beauty trends, you’ve probably come across a cool and smooth stone like the one pictured below. 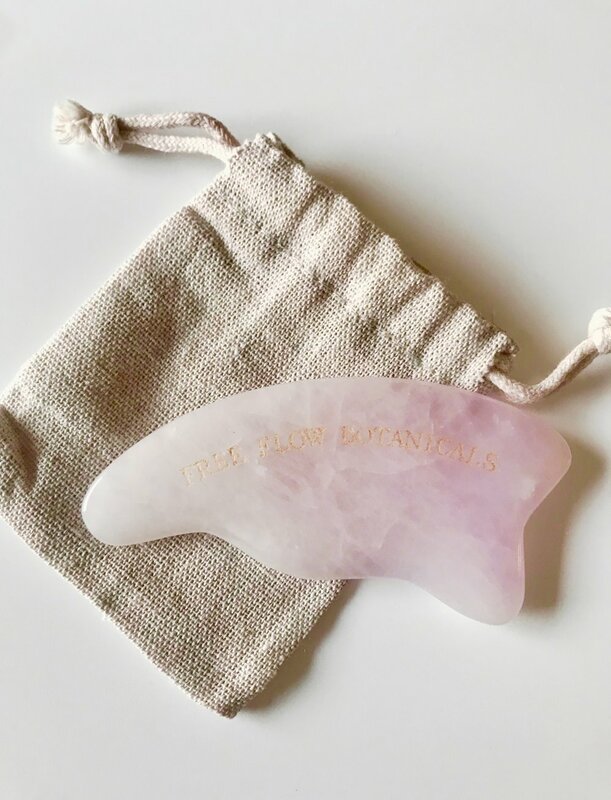 This beauty tool is made from the lovely Rose Quartz gemstone, and is used for a massage technique called Facial Gua Sha. If you’re looking for an affordable way to keep your skin beautiful, radiant, and glowing, consider Facial Gua Sha. It’s a wonderful act of self-care and makes a great addition to your nightly skincare routine. Want to see what Facial Gua Sha is all about? Try our Facial Gua Sha Kit, which includes a Rose Quartz Facial Gua Sha tool and a 15 ml bottle of Glow or Nourish facial oil. Available for purchase here.